German investment giant Deka Immobilien is moving to sell Melbourne’s landmark South Wharf Office Tower to capitalise on continued buyer demand for prime office investment opportunities. The tower, which Deka acquired in 2010, is situated in a waterfront location on the southern bank of the Yarra River. CBRE has been appointed as the exclusive selling agent, with CBRE’s Senior Managing Director, Victoria, Mark Coster and Senior Managing Director, International Investments, Rick Butler to steer the Expressions of Interest campaign. 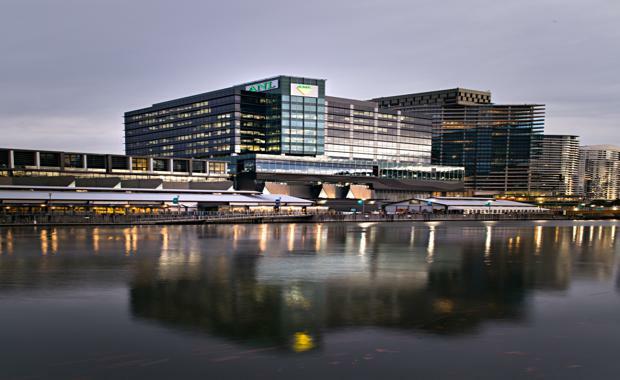 The A-grade office building was completed in 2009 and forms part of the wider Southbank precinct, which incorporates extensive dining and retail facilities as well as the Melbourne Convention Centre and Hilton Hotel. The building provides over 20,000sqm of office accommodation. It features a 5 Star Green Star – Office Design v2 rating and a 4.5 Star NABERS Rating – which Mr Coster said was an advantage not only in terms of building performance but also in attracting tenants in the future. The fully leased tower incorporates large, efficient floor plates of approximately 2,170sqm around a central core. There are five blue-chip occupiers on the tenancy roster, being Mondelez International, ANL Container Line, LeasePlan and Baulderstone (Lend Lease).